The Rimrock Resort Hotel is a AAA/CAA Four Diamond Hotel located in the heart of the Canadian Rockies and Banff National Park. 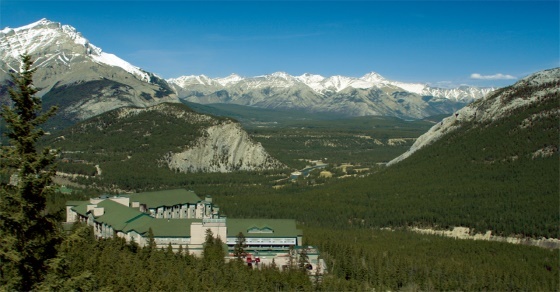 The Rimrock Resort Hotel offers exceptional views of the Canadian Rockies, fine dining, and a luxury spa. 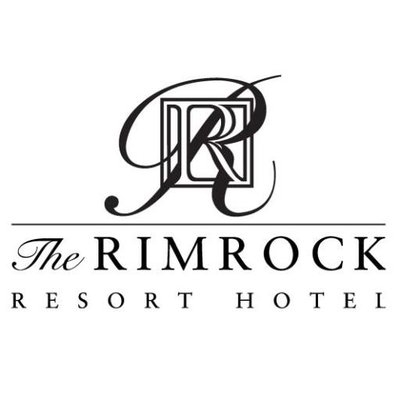 With unmatched style, decor and superb hospitality, the Rimrock Resort Hotel is a very special place to visit for a truly remarkable experience. Enjoy the Canadian Rockies in Rimrock style – you will see the difference! The Rimrock Resort Hotel offers Banff’s most exclusive accommodation in a unique location. The Rimrock Resort Hotel has four guest room categories to choose from, and all 346 guest rooms offer a smoke-free environment. Rooms are similar in size (approximately 350 square feet) and décor and are categorized by their view. The warm contrasting earthy tones and dark wood accents in all guest rooms are complimented by the natural beauty surrounding the resort. GrandView “Elegance” Guest Rooms: These newly designed rooms offer clean architectural lines and classic accents that inspire serenity. These Grandview rooms offer relaxation and comfort while you enjoy extraordinary views of the Canadian Rockies. GrandView services and amenities include, in-room safe, turndown service, bathrobes, Aveda beauty products, Philips 32-inch widescreen LCD television, free High Speed Wireless Internet, free valet parking, and business centre access, and Simmons® Beautyrest® Majestic Pillow Top bed(s), with independent Pocketed Coil® springs. Premium Guest Rooms: The Bow or Spray Valley is on permanent display from your Premium guest room. Refurnished in 2008, these rooms also offer the highest degree of attention to detail and include a Philips 32-inch widescreen LCD television, in-room safe, plush terry robes, Simmons® Beautyrest® Majestic Pillow Top bed(s), with independent Pocketed Coil® springs, refreshing bathroom amenities, and complimentary High Speed Wireless Internet. Deluxe Guest Rooms: Deluxe guest rooms flaunt views of the majestic, lofty peaks of Mount Rundle, and include refreshing bathroom amenities, Philips 32-inch widescreen LCD television, Simmons® Beautyrest® Excellence Pillow Top bed(s), with independent Pocketed Coil® springs, and in-room safe. Standard Guest Rooms: With an interior that is as well appointed as a Deluxe guest room, a Standard room will have an alpine view or may be obstructed by parts of the hotel, and include a 32-inch LCD television and refreshing bathroom amenities. All guest rooms feature cable television with in room movies and video games, in room temperature controls, two phones, designated workspace, wireless high speed internet access, radio, in room tea and coffee, hair dryer, and iron and ironing board.